The greatest injustice ever committed in the history of beauty pageants in Curaçao was against a bright young star called Jozaine Wall. Fullfilling on her lifelong dream of participating in the Miss Universe pageant, Jozaine entered the Miss Curaçao pageant in 1999 at the tender age of 17. She was completely unaware that she did not qualify to be a contestant in the next edition of Miss Universe as she would not turn 18 before February 1st., 2000. To this day it is unclear whether the organizers were aware of this fact when they accepted her as a contestant. Jozaine was a front-runner from day one and as could have been expected, she went on to win the Miss Curaçao pageant. That is when, as we say in Curaçao, “Colon a kima”. When it became known that Jozaine would not be accepted as a contestant in the 2000 Miss Universe pageant, the president of the organizing committee, Sheïda Wever, claimed that the Miss Universe Organization had changed the minimun age rule after Jozaine’s win. This is a blatant lie as the applicable rules, same then as they are now, have not been changed since 1992! 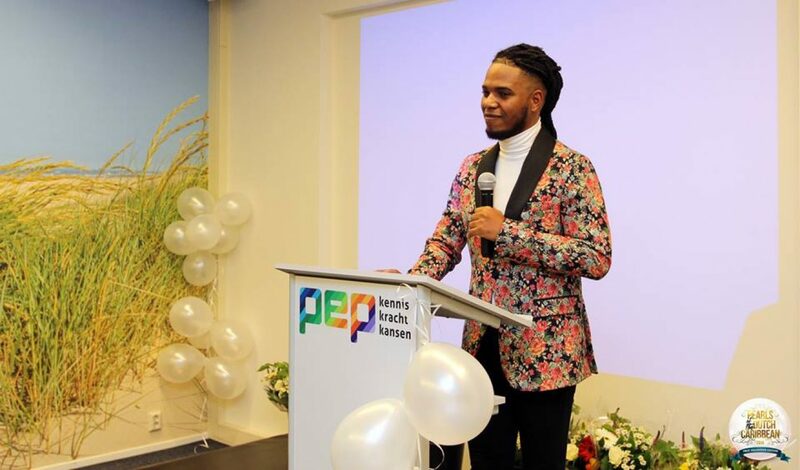 Prompted by a disgruntled former president of the organizing committee and the disgruntled father of a former contestant, Jozaine sued the organizing committee. Her lawyer and advisor put on a complete spectacle, bringing her to court in a limousine, yet failed to properly document the suit with the one piece of evidence that would have brought Jozaine a clear and resounding victory: the fact that the Miss Universe rules had not changed following her Curaçao win. Alas, I do not believe that this lawsuit was ever about Jozaine’s rights. The organizing committee and the CTB tried to compensate Jozaine by sending her to the Miss World pageant. Regretfully they did so in the same half-hearted way as all other Miss World delegates from Curaçao, with a lackluster wardrobe and not much thought to the fact that the Miss World contest looks for a different type of contestant than Miss Universe. Yet, being the star that she is, Jozaine managed to win the title of “Queen of the Caribbean“. This was the first time since 1975, when Curaçao started to compete in Miss World, that a representative of Curaçao received an award at this pageant. It is painful to imagine what Jozaine could have accomplished had she been properly prepared for the Miss World competition. Regretfully, the injustices against this young woman were not over yet. When Jozaine inquired about the possibility of attending the 2001 Miss Universe pageant, she was told by Sheïda Wever that Miss Universe would only accept a winner from 2000 or 2001, not one from 1999. So ended the lifelong dream of attending the Miss Universe pageant for a talented young woman who never enterred a competition where she did not win a prize. Ironically, in 2004 Sheïda Wever managed to send to the Miss Universe pageant, a young woman who was the first runner-up in the 2002 Miss Curacao pageant. So the Miss Universe Organization accepted a contestant that was neither a winner nor a contestant from the same year or the year before. They must have changed its rules once again! Mr. Richard John Isa, is the national fashion and beauty mogul of Curaçao. Known for being the machine behind many successful national female and male beauty ambassadors. Son of former President of Parliament, Minister of Justice and Prime Minister of the Netherlands Antilles Ramez Ramez “Ronchi” Isa (rip). Mr. Richard, conducted the management of his family business the bakery Panaderia Isa NV, the largest bread bakery in Curacao with “Erisa Beheer & Management NV” and who recently sold his share. He owns a fashion store “Matematica”. Previous America’s Next Top Model Cycle 17: All-Stars Starts!